Francis Beckett is an author, journalist, playwright and contemporary historian. He was the 2009 winner of the Ted Wragg Award for lifetime achievement in education journalism. He has worked for newspapers (principally The Guardian), magazines, trade unions, charities and the Labour Party. He is editor of Third Age Matters, a 92-page magazine published by the University of the Third Age. His first play, The Sons of Catholic Gentleman, won the Independent Radio Drama Productions award and was broadcast by LBC. His second and third, Money Makes You Happy and The Right Honourable Lady, are published by Samuel French. 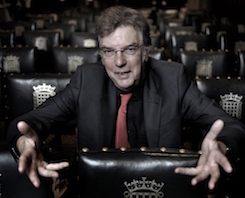 Claim and Shame, a bespoke play about the MPs’ expenses scandal, was directed by Joanna Turner for Theatre 503, and The London Spring, had a three week run at the Etcetera Theatre in Camden Town. 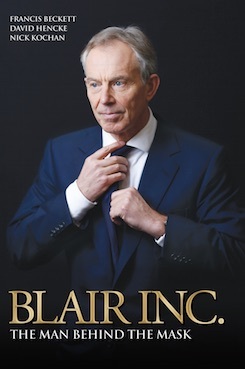 There’s a great review for Blair Inc. from Peter Oborne in the current New Statesman. The fourth and final serial from the extraordinary new book Blair Inc. is in today’s Daily Mail. The Daily Mail has run a third day of serialisation of Blair Inc: The Man Behind The Mask by Francis Beckett, David Hencke and Nick Kochan, which will be published by John Blake later this month. The Daily Mail has serialised Blair Inc. for a second day, this time focusing on the prospects for Tony and Cherie’s marriage after damaging revelations. The first day of the Daily Mail’s serial of Blair Inc: The Man Behind The Mask by Francis Beckett, David Hencke and Nick Kochan, published by John Blake Publishing on March 19 ,begins today.